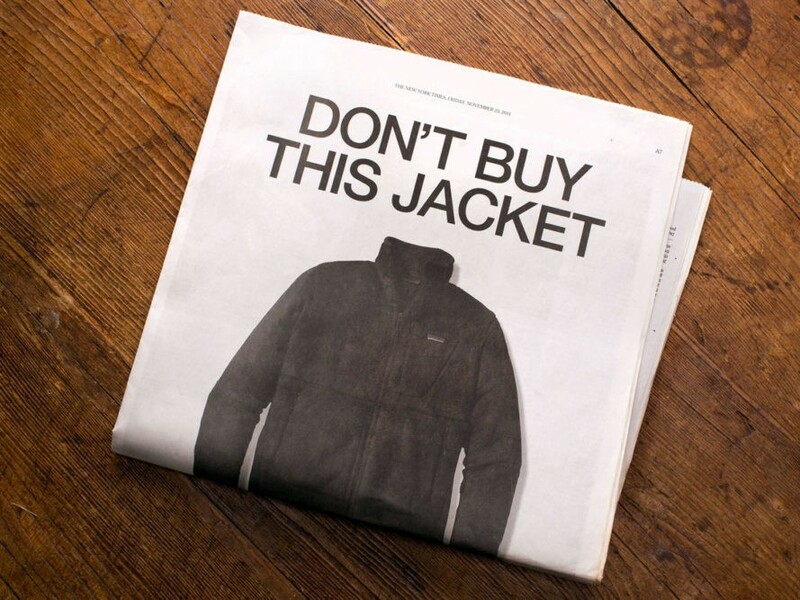 Patagonia has a startling confession to make: Its popular synthetic fleeces are mucking up the oceans, perhaps even poisoning the food chain. In a study commissioned by the outdoor-apparel retailer, researchers from the University of California Santa Barbara found that polyester and nylon jackets, including Patagonia’s own, can shed as many as 250,000 synthetic fibers, or about 1.7 grams of plastic, in a single wash. Fewer than 5 millimeters in length, many of these so-called “microfibers” slip past washing-machine and wastewater-treatment filters into rivers, lakes, and reservoirs. Depending on removal rates, anywhere between 8 to 35 percent can end up in oceans and beaches, or in the bellies of unsuspecting seabirds, fish, and other marine animals. To stretch a hypothetical, a city of 100,000 people laundering their fleeces in tandem could conceivably release up to 110 kilograms of microfibers into local waterways every day, or the equivalent of about 15,000 plastic bags. It’s a problem that’s unlikely to go away any time soon. One industry group expects polyester production to exceed 84 million metric tons by 2025. Despite the growing demand for synthetic textiles, however, the impact of microfibers is still largely an unknown quantity. But not all synthetic fleeces are created equal, researchers noted. In wash experiments designed to simulate a lifetime of wear, generic-brand fleeces shed an average 170 percent more fibers than comparable but better-constructed Patagonia styles. The type of washing machine and the age of the jacket also played significant roles, researchers found. Top-load washers sloughed off more than five times as many microfibers than front-loaders, while older jackets deposited nearly twice as many plastic bits as their fresher counterparts. Naturally, the biggest shedders were one-three punches of top-load, “aged,” and budget quality. Besides testing and developing new, lower-impact materials within its product line, Patagonia says it will be reaching out to appliance manufacturers to “initiate discussions” about more-effective filtering processes, as well as research into how the mechanical designs of washing machines, such as agitation techniques, can influence the release of microfibers. Finally, “minimize how often you wash your fleece as much as possible,” the company added. 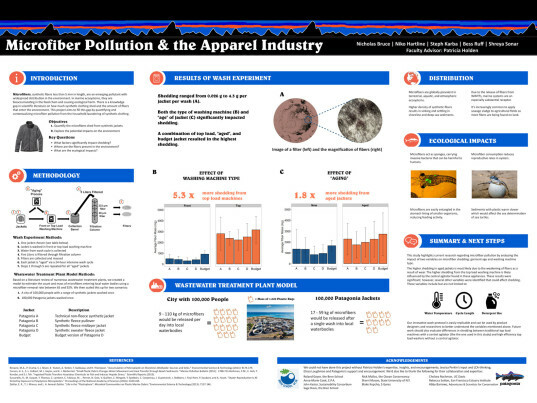 If microscopic plastic fibers from fleece jackets are slipping through waste water treatment systems into the oceans, streams and water table, I think that's amongst the least of our worries. Where do you think all the industrial solvents, pharmaceuticals, and cleaning products that get flushed down the drain are going? Patagonia has a startling confession to make: Its popular synthetic fleeces are mucking up the oceans, perhaps even poisoning the food chain. In a study commissioned by the outdoor-apparel retailer, researchers from the University of California Santa Barbara found that polyester and nylon jackets, including Patagonia's own, can shed as many as 250,000 synthetic fibers, or about 1.7 grams of plastic, in a single wash. Fewer than 5 millimeters in length, many of these so-called "microfibers" slip past washing-machine and wastewater-treatment filters into rivers, lakes, and reservoirs. Depending on removal rates, anywhere between 8 to 35 percent can end up in oceans and beaches, or in the bellies of unsuspecting seabirds, fish, and other marine animals. To stretch a hypothetical, a city of 100,000 people laundering their fleeces in tandem could conceivably release up to 110 kilograms of microfibers into local waterways every day, or the equivalent of about 15,000 plastic bags.